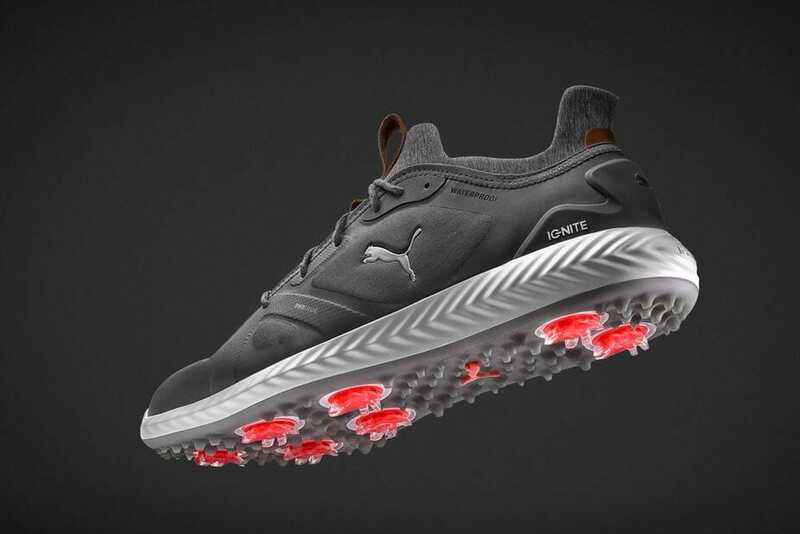 PUMA Golf are taking traction to the next level with its cutting-edge PWRADAPT traction system in its new line of footwear for 2018. 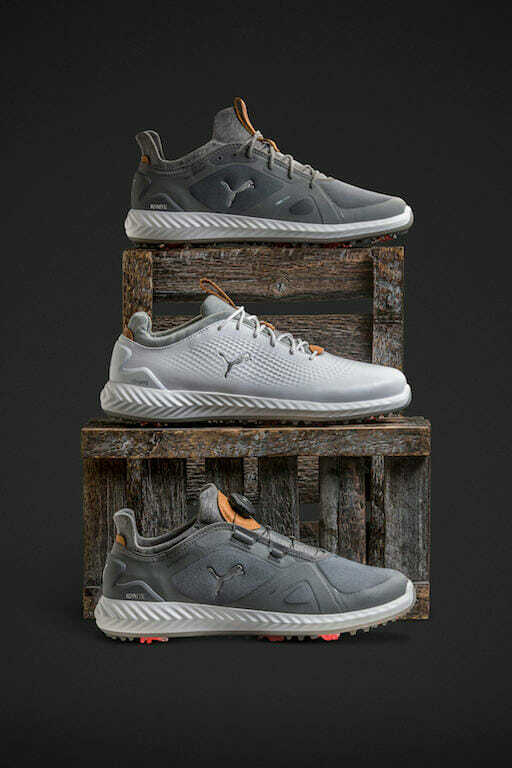 The new IGNITE PWRADAPT collection offers three designs (IGNITE PWRADAPT, IGNITE PWRADAPT DISC and IGNITE PWRADAPT Leather) to provide golfers with state-of-the-art technology, comfort and stability in three stylish silhouettes. 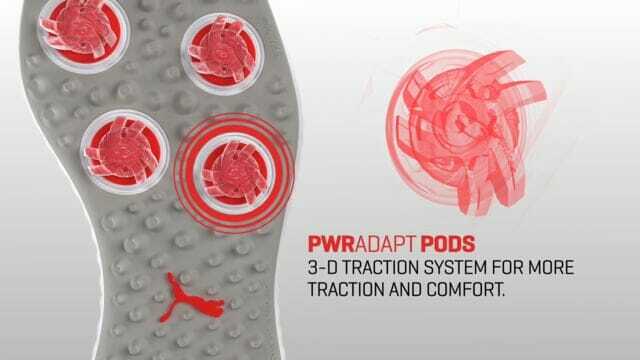 Each of the models in the family utilises PUMA Golf’s proprietary PWRADAPT sole technology that introduces revolutionary 3-dimensional traction pods and responsive cushioning with IGNITE Foam, utilised the entire length of the midsole for the first time in a cleated shoe, for the ideal blend of industry-leading technology, style and performance. PUMA’s IGNITE Foam is an ultra-responsive cushioning foam with incredible energy return properties for comfort, support and stability, while the PWRADAPT pods provide ground-grabbing traction and enhanced comfort from tee-to-green, with every move a golfer makes. Each style in the collection utilises premium Aniline Leather accents for added style, as well as some discoverable design elements including a unique sockliner featuring a map of Carlsbad, highlighting COBRA PUMA GOLF headquarters, the exact location where the shoe was designed. Each of the three styles in the IGNITE PWRADAPT family comes with a two-year waterproof warranty and will have an RRP of €180. They will be available at retail from February 15 2018.